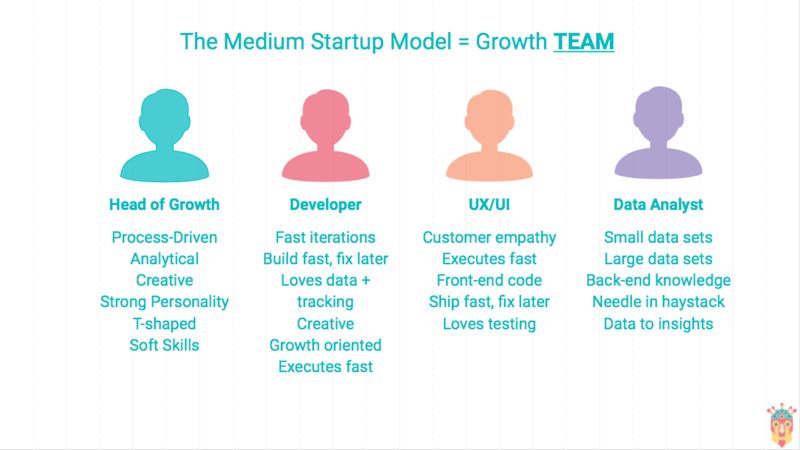 Let’s start by clarifying what a growth team is. According to Samuel J Woods, the perfect timing to build a growth team is when you’re at Product/Market Fit. Once you’ve reached that point, your goal is to discover new acquisition tactics and conversion funnel optimization through experimentation. That’s when the growth team steps in. This is what the ultimate growth team looks like. Previous What Is Growth Hacking? Back To Basics. Join over 10000+ professionals and be part of Europes largest Growth Hacking community! Growth Tribe is Europe’s first Growth Marketing Academy! We’re backed by cranberry panda and Facebook. We are specialized in teaching technical growth skills through hands-on workshops.